With the recent launch of Artifact Uprising Volumes, we’re exploring how our community is using our new automatic book-building service in their daily lives. Last up in the series is Calli Nicoletti, bride-to-be and esteemed member of our team here at Artifact Uprising. 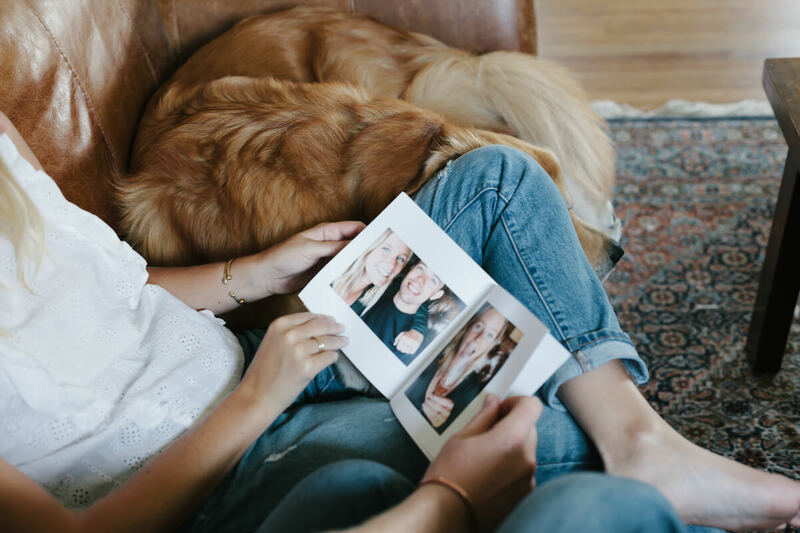 Take a look at how Volumes now fills the role of bringing her mobile photos and experiences throughout the wedding planning journey off her device and into her life. Here's a hard-hitter. How many photos are on your camera roll? You were recently engaged — big congrats! How would you say this milestone has affected your photo habits? 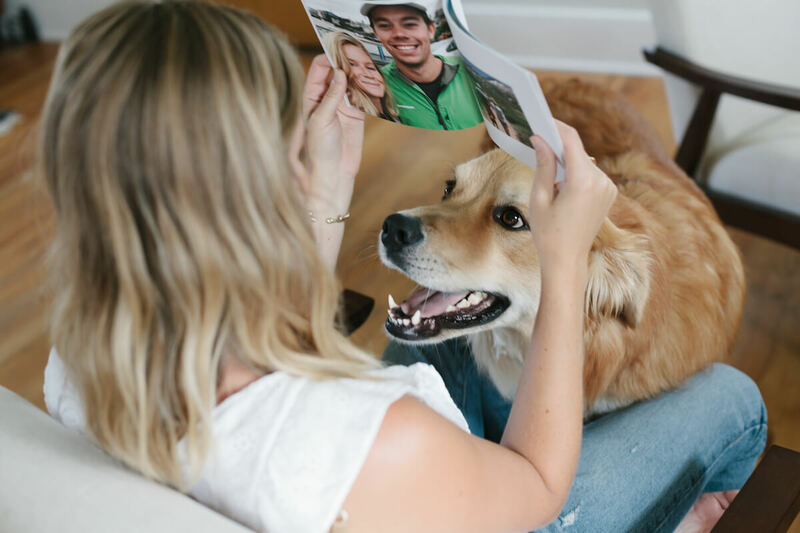 Photos of Pierce and I together definitely all feel a little more momentous nowadays – everything from well planned travels to Monday nights in the backyard playing with our pup. Regardless of what we’re doing, I feel like I should be capturing all of it, because the photos we take are helping to tell our story, which is really exciting. 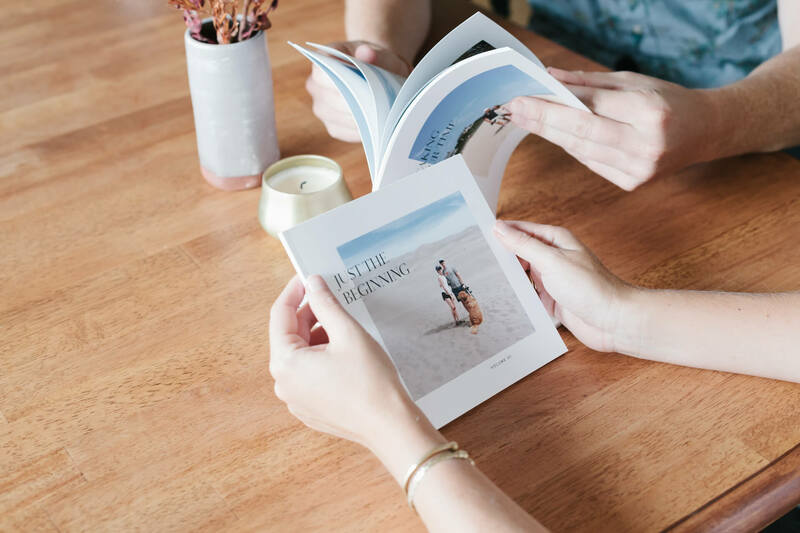 While I’m taking more photos, I’m also more pressed for time when it comes to finding the right things to do with them – wedding planning is no joke! After your sneak peek of Volumes, how would you describe this service to a friend? 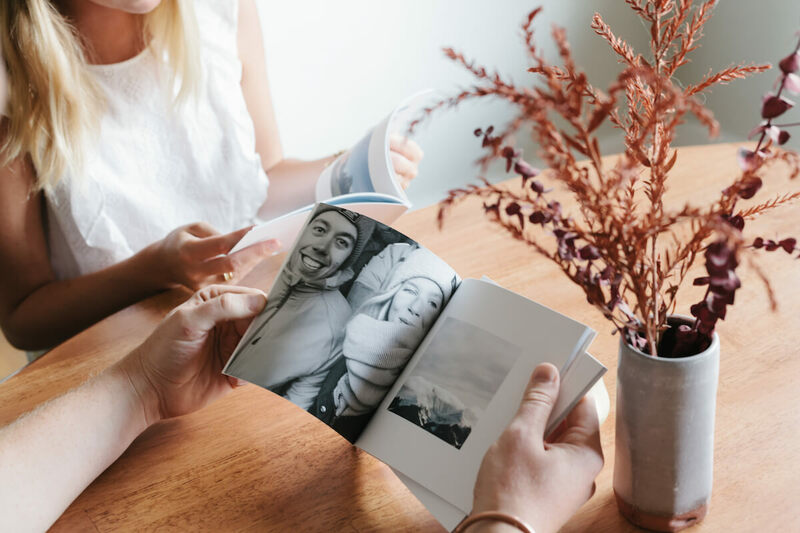 I would say Volumes is a really easy way to create your own photo book collection with minimal effort. The book designs are so simple, you don’t have to do much editing to create a collection that feels really design-forward, yet timeless. I also love that it’s all done through my iPhone, so it fits right in with my current lifestyle with everything I am doing day to day on my phone. Anyone who has a desk job would probably agree – when I get home, the last thing I want to do is hop back on my computer for another project. 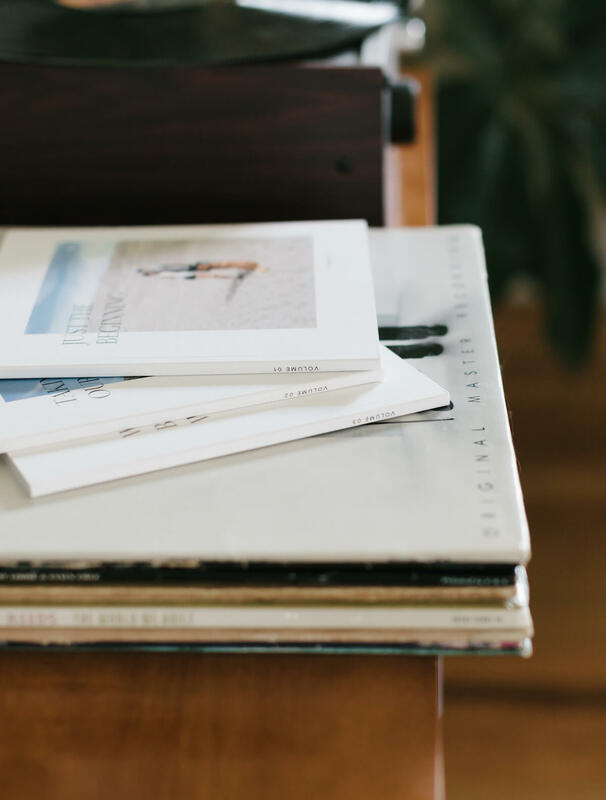 Why do you find it valuable to have photo books automatically made for you? 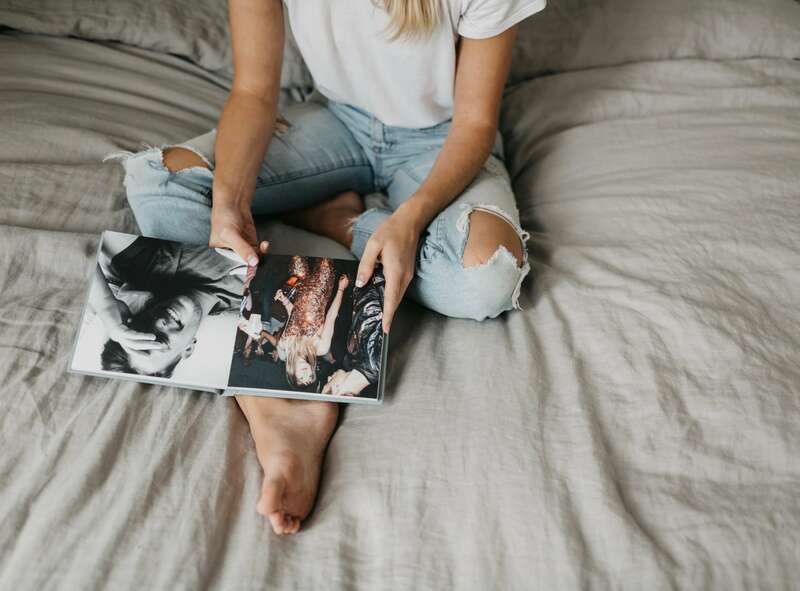 I absolutely love having photo books and prints to look back on. 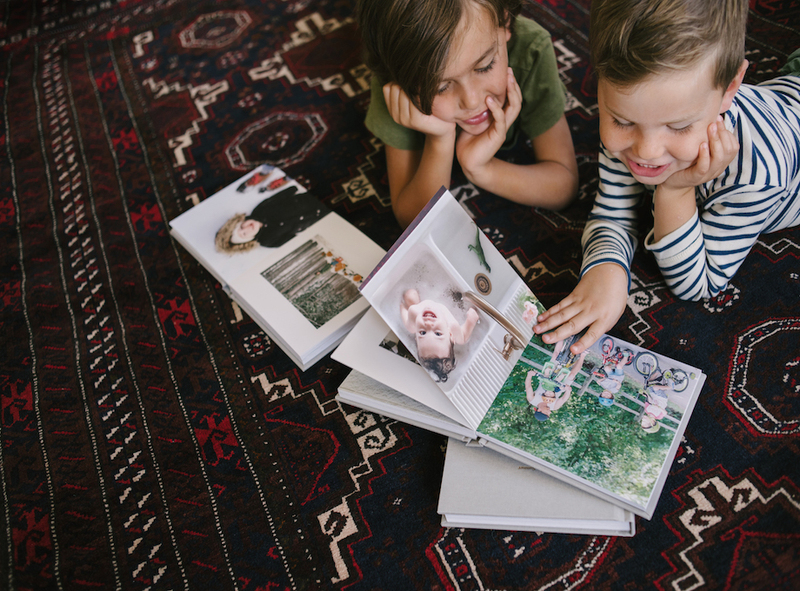 Getting to pull out photos when friends and family come over… what’s better than that!? But from organizing the photos to choosing books layouts, etc., it definitely takes a good deal of time and thought. The fact that I don’t have to add anything to my to-do list and have these books weave their way into my home – that’s pretty incredible. 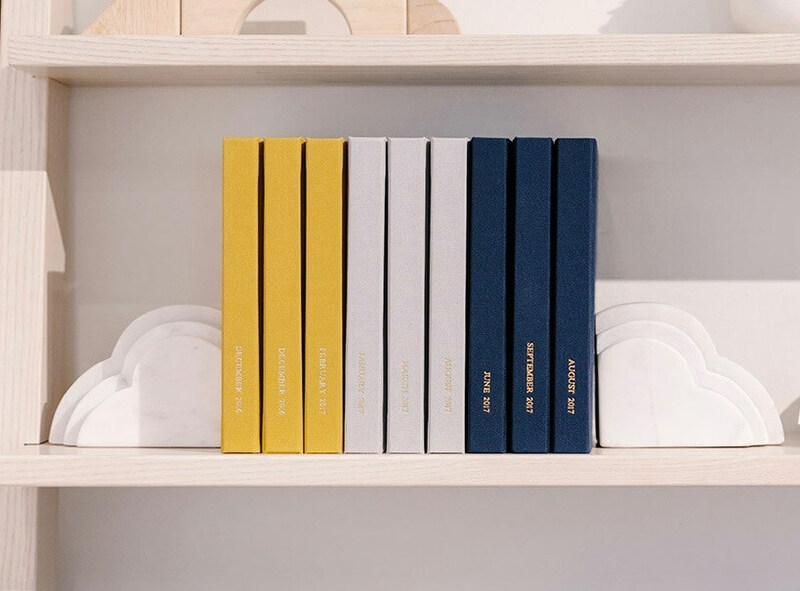 The fact that I don’t have to add anything to my to-do list and have these books weave their way into my home – that’s pretty incredible. What folder do you plan on connecting to Volumes to create your books? I’ve been using my Favorites album for over a year as a personal way to organize my favorite photos, so the fact that I can connect Volumes directly to that album is ideal. It’s a lot more candid than say my Instagram feed, but I love that they’re a bunch of real photos of the people I love. Why is it important to you that photos of your relationship are brought off your device and into your life? 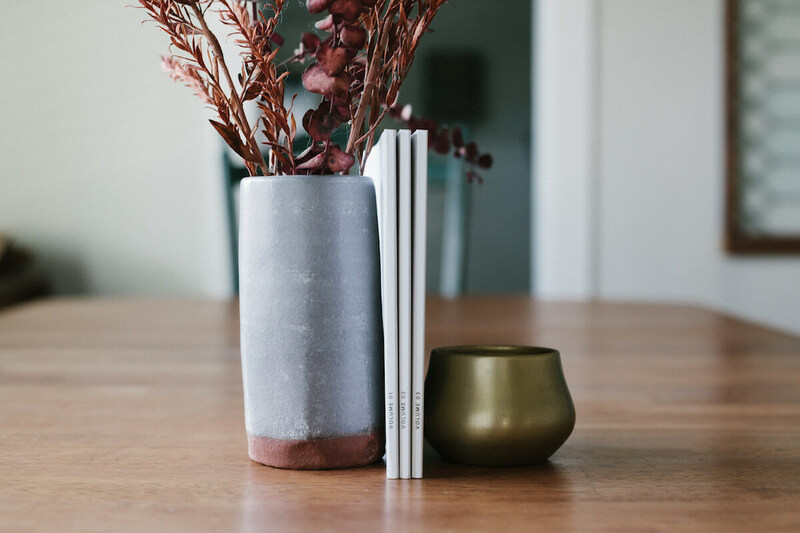 I’ve always had a deep appreciation for the little things – I think self expression and the items you surround yourself with in your home become part of who you are. When I saw the books for the first time, that mental image of the full collection was so vivid – they are so classic and simple. Being able to build on these volumes is such a great way to tell your own story. I also love looking back to when Pierce and I first met and seeing how we’ve grown over the years. Our first trip together was to Austin, TX, and those photos bring such a grin to my face – from a big plate of roadside BBQ to pictures we took on a jog around Lady Bird Lake. I’ve printed a few photo books of our travels since then, but haven’t kept up with it as much as I’d like. Now there’s really no excuse not to! Looking forward to married life and beyond, how to do you see Volumes playing a role? 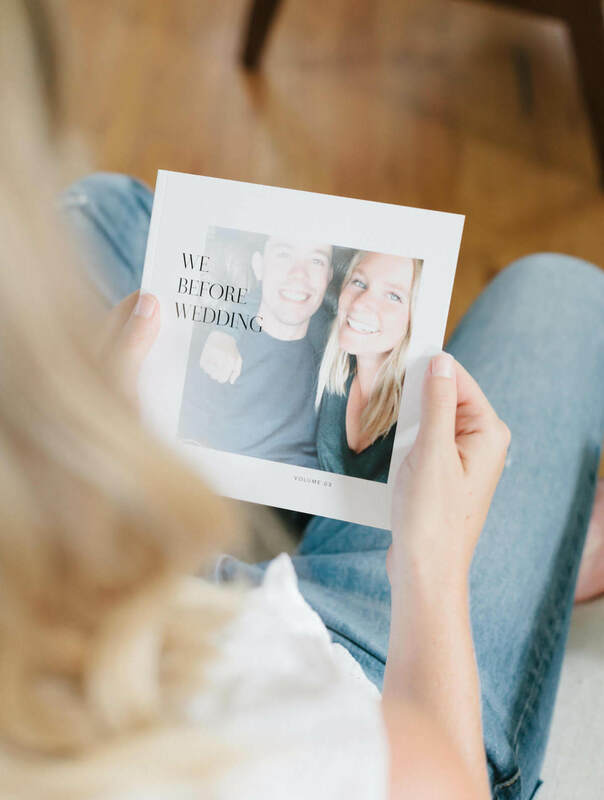 What’s really exciting is that this collection can tell our story from the beginning – from the very first photo we took together, to that “is this real life?” moment when he slipped the ring on my finger, and eventually through the wedding and our life as a married couple. It truly will be a collection of our days together. A friend told me that getting engaged is such an exciting milestone, but when you think about it, the next few years will bring so many more momentous experiences and time seems to speed up quicker than you can imagine. I can’t wait to document it all in a way that’s long lasting.